A total knee replacement surgery may help you recover from the pain and stiffness associated with severe arthritis. 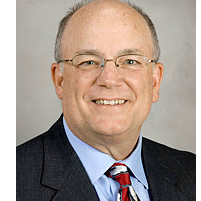 Knee specialist UT Physicians: Brian S. Parsley, MD, is a board-certified orthopedic surgeon in Bellaire, Texas, with more than 25 years of experience. Dr. Parsley performs hundreds of joint replacement surgeries each year to help patients dealing with chronic pain and disability. To set up a surgical consultation, call or use the online booking tool today. A knee replacement surgery — called a knee arthroplasty — is a procedure to remove damaged cartilage and bone from the knee joint and replace it with prosthetic devices for better range of motion and pain relief. Dr. Parsley performs partial and total knee replacements, either in traditional open surgeries or minimally-invasive surgeries using arthroscopy. He performs between 350 and 450 joint replacements each year and stays up-to-date with the most advanced surgical techniques and tools so you have the best outcome possible after surgery. Who can benefit from a total knee replacement? Specialized procedures allow Dr. Parsley to access the affected joint areas without disturbing healthy tissues so you have less risk of infection and a faster recovery time. Do I need a knee replacement surgery? If you have severe arthritis symptoms in your knee, including pain and limited range of motion, Dr. Parsley examines your knee and takes X-rays to determine if you’re a good candidate for surgery. Depending on the extent of damage to your knee, Dr. Parsley may recommend a partial or total knee replacement. Some preparation may be required before surgery, such as losing weight or completing a course of physical therapy to strengthen your muscles for a better recovery post-surgery. If preparation is required, Dr. Parsley outlines what you’ll need to do and provides referrals for additional therapy, as needed. Once you’re ready for your total knee replacement, Dr. Parsley puts you under anesthesia before he makes the first incision in your knee. Depending on the procedure recommended, Dr. Parsley may perform a minimally-invasive arthroscopic surgery or a traditional open surgery. After the surgical site is visualized, Dr. Parsley uses surgical tools to remove cartilage and bony debris from the joint before smoothing the surface of your bones. He places prosthetic devices on the ends of your bones to protect them and then secures them in place with cement. When he’s done, he removes the surgical tools and closes the incisions with surgical tape or stitches. Most knee replacement surgeries take one to two hours, and you may need to recover in the hospital for a day or more before returning home. For more information on Total Knee Replacement, please click here. Schedule a consultation for knee replacement surgery now by calling or booking online with Brian S. Parsley M.D.